“Our new InfoBoard has a very crisp, sharp picture of area activity options and travel information our guests value,” said Landers. 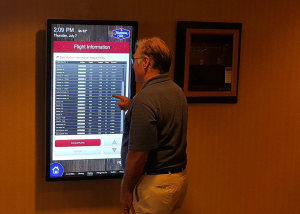 “The InfoBoard is near our front desk and we expect guests will enjoy learning about Des Moines and having current travel information. 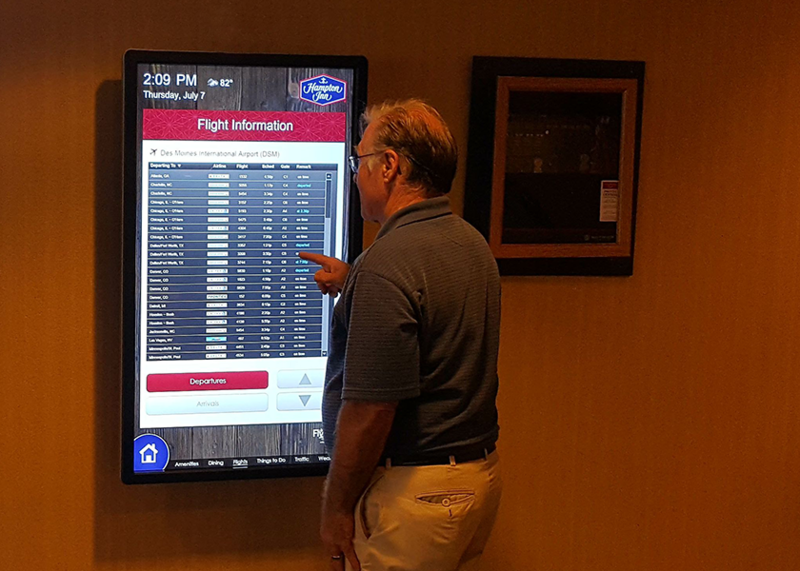 The airline schedules and local traffic updates are extremely valuable since about 75 percent of our guests arrive and depart through the Des Moines Airport.” Landers noted that one of his corporate VPs saw an InfoBoard at another hotel while he was traveling and thought it would be a great amenity for the Hampton Inn Des Moines property.